inductee at the annual awards program in Dallas on Nov. 29. Vice President of Supply Chain Management Gun Shim. representing an increase of $174.8 million (17.4 percent) from 2014. 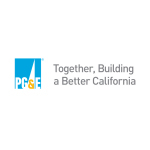 PG&E’s support of women-owned businesses has been nationally recognized. percentage of spend with minority-owned businesses. the 19 California utility companies graded by the institute. through their commitment to supply chain responsibility. the nation’s leading publications on diversity and business.